Driver Training Associates recently announced the release of its newly redesigned Florida Traffic School course. This 4-hour course has been approved by the Florida Department of Highway Safety and Motor Vehicles for all Florida drivers who are eligible to attend a basic driver improvement course for point dismissal. Attending the course is a popular option for many drivers, since it prevents their insurance rates from increasing unless they were at fault in an accident. DTA was one of the first companies to offer driver improvement to ticketed Florida drivers over the Internet. Its online Basic Driver Improvement (BDI) course has been taken by hundreds of thousands of drivers who needed to meet a court deadline quickly or could not locate a classroom course in their area. Improvements to the revised online BDI course include larger type that is easier to read, simpler navigation from page to page, the addition of colorful and attractive graphics, charts, and tables, and a writing style that is clearer and simpler for all customers to understand. Statistics and traffic safety data have also been updated throughout the course to reflect the most current information available from NHTSA, IIHS, the Florida DHSMV, and other sources. This new course is a far cry from typical online traffic school courses that simply repeat facts from the driver’s handbook! The registration area for the BDI course has been updated to include new registration options such as reckless driving, red light running, racing on the highway, and passing a stopped school bus. The inclusion of these new options ensures that customers taking the course will receive credit for their course completion. Many other online Florida traffic school courses do not include these registration choices, leaving drivers to wonder whether their traffic school completion will be reported correctly. Another new feature of the online BDI course is the ability to download the completion certificate immediately upon passing the final exam. This option, otherwise known as “electronic certificate delivery,” can be selected during registration or after you pass the final exam. If electronic delivery is chosen, the customer will see a download link to open or save the certificate, which is in Adobe PDF® format. 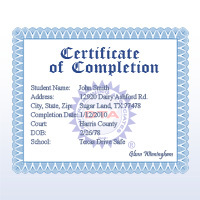 The certificate can then be printed from the customer’s computer or saved and printed later using Adobe Acrobat Reader®. 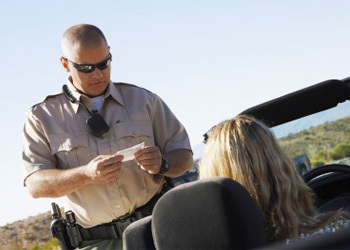 While online traffic school has become the most popular option for busy drivers who receive a Florida speeding ticket or other moving violation, classroom courses are still available in many areas. Classroom courses are an excellent option for anyone who wants to interact with others in a group setting, who prefers an in-person class environment, or who likes to be able to ask questions of a professional instructor. DTA licenses a large number of Florida traffic schools to offer our classroom Program for Driver Improvement, which is approved by the State of Florida. Click here if you are interested in starting a Florida traffic school where you live.